Announced immediately after the ninth episode of Chuunibyou Demo Koi ga Shitai!, Tamako Market is Kyoto Animation’s latest series set to premiere in January. While I’ve translated various bits and pieces about the plot and characters, I recently translated a very long (over 3,500 words) conversation between Naoko Yamada and Reiko Yoshida that was published in the latest Animage magazine. 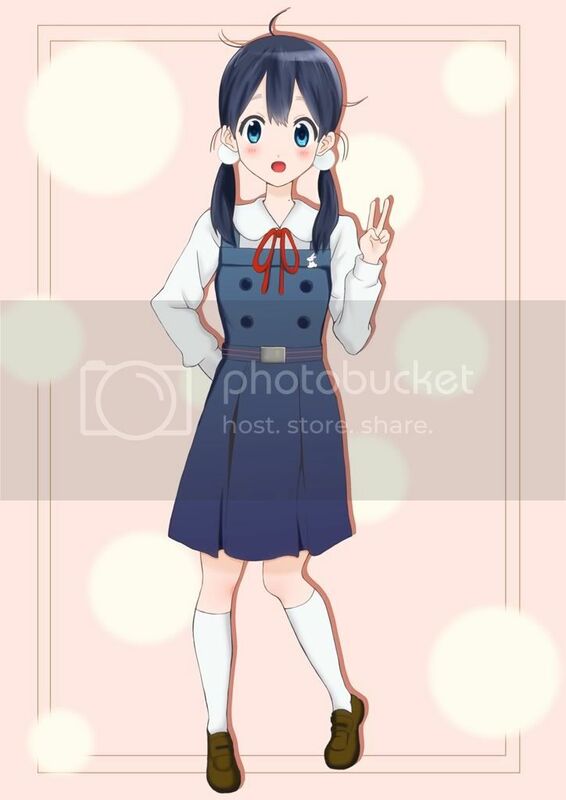 Welcome to Tamako Market! 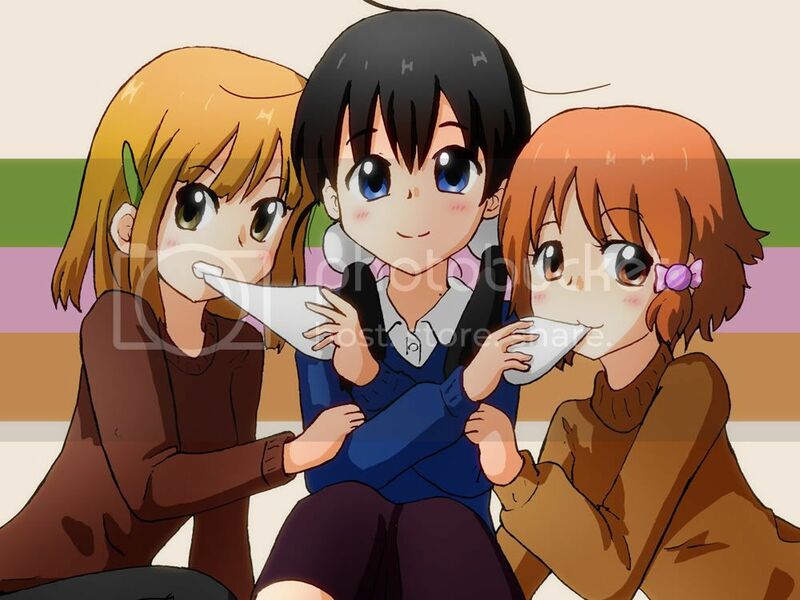 -How did this Tamako Market project start? Yamada: The preliminary arrangements had already been determined when I was told about the new project. Instead, I was asked “Would you like to give this work a shot?” as the framework was being designed. Once I had envisioned the characters, I asked Yoshida-san if she wanted to be a part of the project. While my initial impressions of this series have changed, the core has not. Yoshida: That’s true. The protagonist’s image and the story’s atmosphere haven’t changed, but the direction of the story changed greatly. Yamada: At first, it had a bit more fantasy elements involved. But, as we progressed through creating the story, I ended up wanting to depict the charming interactions between people. Yoshida: Our stage was a mochi shop in a shopping district from the very beginning. Though Kyoto is the model for our setting, there won’t be any impressions of Japan’s previous capital, nature around the area, or shrine visits. We want the viewers to experience the entertaining portions of life in a shopping district. -So, why did you choose a mochi shop from the very beginning? Yamada: Of course people are going to be curious about that! (laughs) First, mochi is a part of Japanese culture that we have given to others for many years and I hope we continue to do so after this. It’s been involved in various miracles, it’s eaten in various scenes with people snuggling, and it’s nice to depict people eating it while they talk back and forth. I began thinking about various events throughout the year and traditions that the Japanese believe in until I couldn’t think anymore. After thinking about everything, I finally decided to focus the story on Japanese people and chose mochi as a way to do that. Yoshida: Wow, there are certainly a lot of reasons for mochi. Yamada: This show has a lot of Kyoto influences in it, so I had to ask Yoshida-san about them. “Yoshida-san, what would you think about basing it on Kyoto?” I don’t know if the show feels Kyoto-ish or if it feels like people are living in Kyoto though. Yoshida: You did ask about that. Yamada: Also, my feelings to place it in a shopping district were very strong. We could have a very simple working-class shopping district to show common everyday people. Yoshida: I thought we might be able to have various festivals and events, but we could also depict the four seasons better than if it were in Tokyo. For example, we could have sakura trees lining the street to show the seasons. You could also talk to a lot of visitors as well as locals about the town. There could be tourists or people from other places. Shop owners, taxi drivers, everyone would be very talkative. That’s the type of town I really had in mind. -There’s a lot of private districts in Kyoto, but your district would be filled with people who’d talk to anyone. -What were your thoughts relating to the mochi shop, Yoshida-san? Yamada: What? Is that true? (laughs) You seemed so cool at our meetings, but you were actually thinking “It’s mochi time!!”? Yoshida: I was thinking it inside. (laughs) I had to do my best to hide it. Yamada: Tamako’s so lucky to have you writing her! (laughs) You’re very knowledgeable about Kyoto though. -Did you grow accustomed to Kyoto after going to it several times? -Ha ha ha ha, it’s opposite of who lives where. Yamada: “Tamako” Yoshida-san came to our company many times. Yoshida: Yes I did. We met in Tokyo for previous works, but there were many meetings in Kyoto for Tamako Market. -Were you able to get a Kyoto feeling after meeting in Kyoto so often? -Even though it was for work, I’m envious of all your trips to Kyoto. Yamada: Whenever Yoshida-san would tell me something, it felt like I was re-discovering Kyoto’s charms again. That happened many times. (laughs) It was quite valuable for us to have an outsider’s view of Kyoto. -Did you use that point of view to produce the shopping district? Yamada: I found our model shopping district by chance. After we decorated it in the anime world, I was quite pleased with it. But, if we just wanted to display the feelings of humanity itself, then we could have used Tokyoites or the shops in the city. While we used Kyoto as our model, there’s not really anything Kyoto about it. -I remember Director Yamada’s heartwarming words when I first heard the proposal for this show. “I want to touch people’s hearts by showing the emotions between people.” What kind of thoughts did you write down from then? Yamada: When someone thinks of someone, their relationship becomes important. What I’m most attracted to is that it’s never hazy; you always properly see that person and what they mean to you. There’s no questioning how you feel about them. I also wanted to show the importance for Japanese people to be friendly inside. That’s why the most important part of this work is depicting people’s hearts. -Yoshida-san also conveyed that emotion at our first meeting. Yoshida: Ha ha ha ha (laughs) By placing our protagonist as the daughter of a mochi shopkeeper in a shopping district, our setting has narrowed. We can easily depict the charm of how that girl was raised. Personally, I moved several times and lived in different districts. I really admire being able to live in one place for a while and having the chance to build those relationships. Yamada: Just like Yoshida-san said, I also wanted to be raised in a single place like that. You really feel how everyone in the district loves Tamako in the very first scene of the first episode when she’s walking in the district. Honest, frank, stubborn, yet kind. 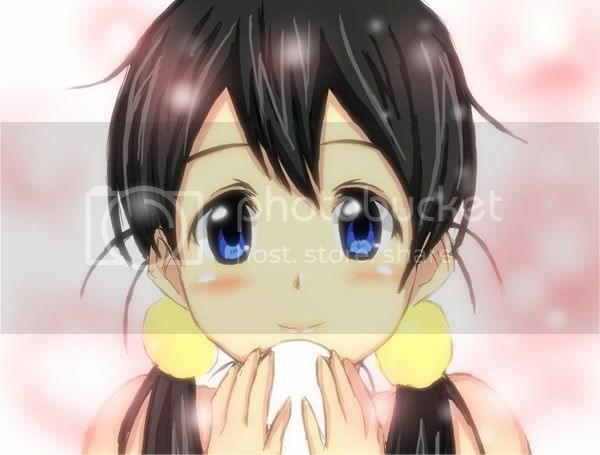 Everyone loves Tamako and she loves everyone. I wonder if people will understand it that way. It’s a scene that symbolizes the take on the world our show takes. -How was the title created? Yamada: This one came on strong. (laughs) All of a sudden it hit me. When you say it and you see others join in, you get a sense of happiness. -It has a soft sound to it. -Looking at the key visual, you drew the mochi to appear really soft. Yoshida: There’s a lot of scenes in the anime where people eat mochi or where Tamako thinks of new mochi products. -How was the protagonist, Tamako, created? Yamada: From the beginning, I wanted to have a girl who was an older sister, who wanted her family’s business to prosper, and who wanted her shopping district to grow. But, she would have no humbleness, so making her into a concrete character was difficult. We had her design from the very beginning though. Braided black hair made her charming, yet ordinary. We kneaded in pieces of her character bit by bit over time. I felt that, once we finished the other characters in the shopping district around her, her qualities solidified. Yoshida: Tamako is a girl who’s very proactive in the shopping district, but there’s very few scenes that show her point of view. If I really had to say, the scenario became a show where you see Tamako’s emotions from the reactions/point of view of those around her. Instead of being a show girl, she’s a girl who loves her family’s business, her shopping district and is just full of love. That doesn’t exclude outsiders too. She’s been brought up very well. -Are there any unique parts to her dialogue? Yoshida: Everyone accepts it. Newcomers and district folk alike. I was aware of that part of her character when I wrote the scenario. -There’s a lot of stories in the world where the protagonist goes through troubles or grows up, but Tamako Market is not one of them. Would it be correct to say Tamako is more of a symbol of the market instead? Yamada: Yes. Perhaps it would be better to say she’s a symbol of everyone’s happiness or perhaps she opens doors for people. Even though she’s suppose to open doors for people, she’s suppose to have a lot of problems. She makes resolutions to open those doors for others. I wanted to convey that through her conversations with the others in the shopping district. -So by depicting relationships, you depict the protagonist? Yamada: Just by depicting the warm give and take between everyone, it builds up and so you can begin to guess what’s between them. -Is there a reason you named her Tamako Kitashirakawa? 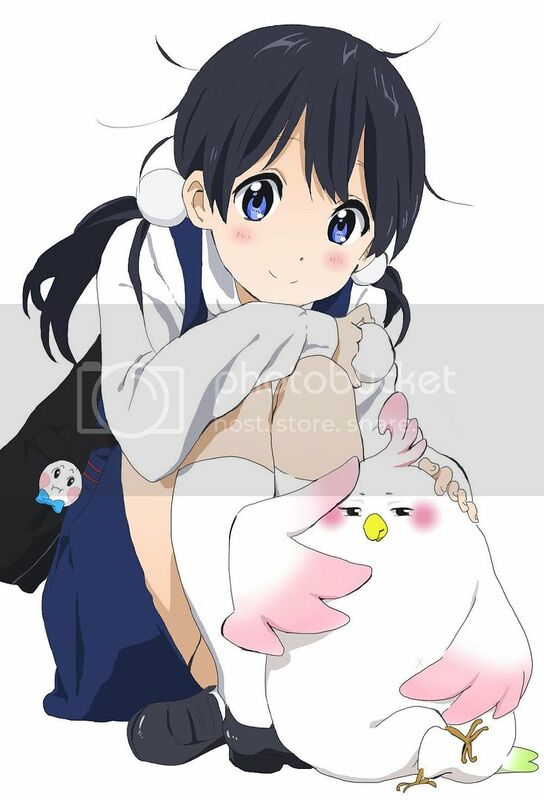 -In Tamako Market, there is a fantasy element with a talking bird. Would you tell us your intention(s) in the creation of this character? Yamada: Actually, this story had more fantasy elements when we started. Tamako would have a special power, etc. As we kept changing the story, only the bird remained from those elements. Yamada: Yes. Naturally, when we started the project, there were a lot of these “little wonders.” (laughs) Therefore, everyone was shocked when they first saw it. “A talking bird! !” But, soon they became accustomed to it. The bird talks, but the bird becomes a friend. I admire that a bit. -Conversing with the bird sounds fun. What did you think about it when you joined, Yoshida-san? Yoshida: It still doesn’t stand out to me now. Before I knew it, he had pushed to take the leading role. (laughs) I had wanted an outsider’s point of view, so his importance moved up as he could be involved in introductions to the rest of the people in the shopping district for the viewers. -How does the bird talk? Yoshida: He talks a bit like a bloody fool, but the director asked me to give him a more noble feeling. Yamada: He’s the bird of a royal family. -And there’s three other girls: Midori Tokiwa, Kanna Makino, and Shiori Asagiri. What are they like? Yamada: They were introduced to depict ordinary life at Tamako’s school. I was pleased as the number of girls increased as it gave me more chances to show outside opinions of the shopping district. (laughs) Just like the bird, they’re not from there. Yoshida: Midori is Tamako’s childhood friend and someone who’s bright and takes care of others. Though she doesn’t live in the shopping district, her grandfather runs a toy store. That’s why she’s always around. -You’re really fixated on names yet, she has blond hair. Yamada: Without fail, everyone mentions that. (laughs) “Ah she has blonde hair.” “I’m surprised.” With her features, you think she’d have black hair. It was really difficult to decide on a color for it. I had to ask the color coordinator to try and find one that fit. -She’s blonde, yet she looks really composed. -What kind of girl is Kanna? Yoshida: Kanna is a crafts girl who goes as she pleases. Yamada: You sound curious about that term. Yamada: Tamako is a very stubborn girl who works in mochi. Kanna-chan admires that stubbornness. (laughs) She takes pride in her work. -Is there a reason you gave her the surname “Makino”? Yamada: It’s another location. Tokiwa is also a name of a place. And there’s another girl, the badminton club’s Shiori-chan, who has the location Asagiri as the foundation for her surname. Yamada: We had everyone put in ideas and decided from them. Yamada: We had fun working on names. (laughs) It’s the shopping district of your dreams. -So is this your ideal shopping district, Director? Yamada: That would be so. Everything I longed for and dreamed about is packed in the Usagiyama shopping district. In this way, everyone can live together. It’s heartening to see specialty shops together or perhaps that’s the charm of the district – to see the whole thing together. Yoshida: It’s also a dream of mine to live near such a vibrant shopping district. Shopping while chatting with the people would be so nice. “What would be the best way to cook this fish?” or “Let me get a vegetable like that.” They’d be able to tell you what’s in season at the time. -Wasn’t it said that the record store “Star and Clown” would be an important part of the story? Yoshida: Gradually Tamako’s friends start to gather there now. -Is there a reason it’s called “Star and Clown”? Yamada: It’s the owner’s idea. It gives you a sense of a weak side and a strong side inside yourself. That’s what I imagined. -So, she and her friends gather there. I wish I had something like that. Yamada: Yes. Somewhere where we can talk as adults and get to know each other. As a child, I wanted somewhere like that and I still do today. -It would be nice to have a place around your house that would bring you so much happiness. Yamada: That’s what’s so admirable about Tamako’s feelings; she feels that way too. Being able to love your district is really amazing. There’s places in there you don’t know about yet. -Tamako’s sister, Anko, doesn’t care for the family business or district, does she? Yamada: She wants to live somewhere more stylish. (laughs) Just like a girl. I’d say that Anko is more realistic than the other characters. Yoshida: The difference in how they view the family business is the difference between first-born and second-born in their family. Anko’s story is an important part of her character. -The shopping district itself has a warm and snuggly look to it. Will the really anticipated music be the same way? Yamada: I tried to keep balance with the music and imagery with music that reminds you of the Showa era. Having a shopping district and focusing on humanity is very reminiscent of that time period, but the girls live in the present day, so you can’t ignore portions of the story that have to be more modern. That’s why the music has to be very stylish. (laughs) Stylish music is entertaining. -Stylish. Do you mean like the kind of music you’d hear in a cafe in the city? Yamada: Yeah, it also has that factor in it. It’s also somewhat bumpkinesque too. (laughs) That might not give a good impression in your head when you see bumpkin, but its music about people who aren’t pretentious and will give a helping hand. -I look forward to hearing it in the broadcast to see what comes from that. Of course we’ll be paying close attention to the OP/ED animation from Director Yamada. Gathering everyone’s love. A work filled with lots of affection. -I understand that the prince of the country where the bird was born will make an appearance in the story. Yoshida: When I first received word about it, the love story between them was still the main focus. Yamada: In the end, we went in a vastly different direction. Yoshida: It’s only one cour, so having it just be about a love story would be very intense. Since we set the stage in our long awaited shopping district, I used that to my advantage when composing the series. I changed it to adolescence plus humanity. -And what about the love component? Yamada: What do you mean? Someone loves someone? (laughs) I believe this is a tale about gathering everyone’s “love”, humanity, and affection. Rather than passion, this is a work wrapped in a great amount of affection. -The story starts around New Years Eve, doesn’t it? Yamada: Yes. It’s the busiest time of the year for the mochi shop. -This work is notable for being an original story by Director Yamada, Series Composer Yoshida-san, and character designer Horiguchi. It opens differently than your past works together. This is a new stage for you isn’t it? Finally, would you mind telling us what your aspirations were for this show? Yoshida: I wanted to make an absolutely pleasant series. Enjoyable, yet comfortable. Tamako now is something I’m grateful for and I’ll be pleased if it turns very successful. It’ll delight me if we’re able to deliver a happy feeling to everyone watching. -Since the stage is a shopping district, the age of the characters is very wide. Yoshida: That is true. It was fun to depict children and adults in this world. -And this time love is present. Yoshida: And, there’s a lot of love present too. (laughs) Frankly, it might surprise you. There’s a feeling of puberty. Yamada: I get that impression too. -What do you mean Director? Yamada: I think it’s important to feel positive about the world. Yoshida-san said it’s a comfortable show and I agree very much with her. I think that if people watch, they’ll be entertained by Tamako. I’ll be very pleased if people are so excited after watching, that they won’t be able to sleep. Please do your best to have wonderful dreams. And there you have it. Tamako Market is a work about love and humanity. A huge thanks to superdry for reading through this and editing/providing things that needed to be re-worded. This entry was posted in News, Tamako Market, Translations and tagged conversation, market, naoko, reiko, tamako, Translation, yamada, yoshida. Bookmark the permalink. ← Chuunibyou final episode cast comments! Thanks for the translation as always. I was already excited for this since it’s a KyoAni show, but reading through this has me really pumped to see it. It’s nice to see an original work from KyoAni, so I’m hoping it turns out well.